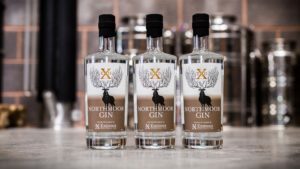 Join us on Thursday, April 25 for our Gin Night with Exmoor Distillery. It looks set to be a great night of delicious food, gin and laughter from 7.15pm with dinner served at 7.45pm. We will have a locally sourced menu with dishes including a starter of Brixham crab beignet, mains such as lamb crumpet or fillet of cod and desserts including a raspberry pavlova with clotted cream. Each course will be served with a different gin – starters will be served with Northmoor Sailor strength Gin Negroni, mains will be served with Northmoor Gin and Fever-Tree tonic with lemon and thyme or Sailor strength Gin and clementine Fever-Tree tonic and desserts will be accompanied by a raspberry gin shot. The night will cost £50 per person and a £5 deposit per head will secure a reservation. To book, please give us a call on 01398 332248. To see the full menu, please click here.